The modern Nursery can have teaching areas, staff room, wet and dry places, kitchen, WC's, utility facilities and offices, along with adequate storage space. With our latest design tools we can create your very own bespoke, custom designed modular nursery building. With our extensive experience in providing ideal environments for pre-school children to flourish, you can rest assured that we also incorporate all of the necessary safety and security features for carefree learning and enjoyment. If you are planning to build a new nursery, we can help you design and then go on to construct a superb new building to your exact specifications, meeting all the regulations from OFSTED and Building Control. The Ark Pre-school is a versatile space split into many different areas which focus on all areas of learning. It has been designed to be a large and bright play space that includes a tree house and under-stairs sensory cave! Like our other rooms, the pre-school has direct access onto a covered deck and stimulating outdoor play space with fire circle, tree swing, mud kitchen and wood henge. One of the great things that comes from satisfied customers is great comments like, "We love our Classroom" or "We are so happy working in this lovely log building" and even "The children just love coming to school in your lovely Log nursery Building. We measure our customer satisfaction by being able to recommend to any of our new clients, is that they talk to the Head or Staff, or visit any one of our existing Log School Building and see for yourself why the teachers and children love our building so much..! At the heart of a good school there are the fundimentals, however, with a modern pre-school classroom it should also include teaching areas, staff room, wet and dry places, kitchen, WC's, store room, utility facilities and offices. With our extensive experience in providing ideal environments for pre-school children to flourish, you can rest assured that we also incorporate all of the necessary safety and security features for carefree learning and enjoyment. Dolly Lee Lodge, so named after the founder of Lovelace Primary School will be used for ECO/Science topics so it will fit perfectly. 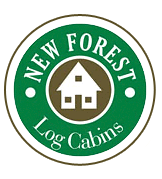 With the energy efficiency of a log classroom combined with excellent value for money and almost zero carbon footprint, it is hardly surprising that more and more schools are choosing New forest Log Cabins for their additional classroom needs. There is a lot talked about Eco friendly classroom, Classrooms of the Future, auxiliary classrooms and making better use of the facilities provided by School in the UK. Well the Log Learning Centre constructed for the Rosebank Kindergarten gets a tick in all the boxes and as a bonus, because of the energy efficiency of the building, it's easy to show savings in the region of 30% on heating alone, this combined with the very low Carbon Footprints and the overall cost of supply and build, makes the building of school classrooms using logs, cost effective and a wonderful environment to teach and learn..! Thanks to the creative thinking of the Head Teacher and Head of Nursery, we were able to come up with the perfect self contained 20 Child Pre-school with 2 x Classrooms/Play & Activity Areas, Store Rooms, Library, Reception, Staff Room, Kitchen, boys, girls and disabled toilets. With little or no change, this Pre-school facility could be constructed on your site and be ready to move in within 3 months. The benefit of a cost effective pre-school when compared to portacabins or out of date temporary classrooms is enormous and when you consider an alternative that has the Eco stamp of approval, comes in any shape and size you need and is almost totally Carbon Neutral and has the benefit of being environmentally friendly, it is hardly surprising why Log Classrooms from New Forest Log Cabins are becoming so popular. We have the capability to design the next classroom at your school and would very much like to talk to you about our ideas for building a facility that the pupils and teachers alike with benefit from. Please contact us for a Schools Information pack. When there's no more room inside and you need extra space for lessons or small class size's, these outdoor classrooms that are made to suit the needs of the individual school are designed and built to be temporary buildings and so much easier to get planning permission for and with a life expectancy of in excess of 100 years they have to offer schools with limited space. Ofsted guidelines state that we must provide a minimum of 2.3 sq mtr per child, however, a good rule of thumb is to allow 2.5 sq mtr which give greater flexibility on age groups of children. The Carlton Day Nursery was designed to accommodate 12 to 16 pre school children aged 3 to 5 years old. The modern Nursery can have teaching areas, staff room, wet and dry places, kitchen, WC's and utility facilities and offices, along with adequate storage space and with our latest design tools we can create your very own bespoke nursery building. With our extensive experience in providing ideal environments for pre-school children to flourish, you can rest assured that we also incorporate all of the necessary safety and security features for carefree learning and enjoyment.